Poseable figure of your favorite Star Wars Princess Leia Organa from Episode IV - A New Hope. Model is 7 inches (18 cm) tall when built. Leia is dressed in her white dress from the original Star Wars movie and she is sporting a personal blaster that she uses during the opening scene aboard the spaceship Tantine IV. She also has articulated connections at the neck, shoulders, elbows and the waist, for fun poses (see images below). See Brickvault Youtube video of this model from my visit to their studio. 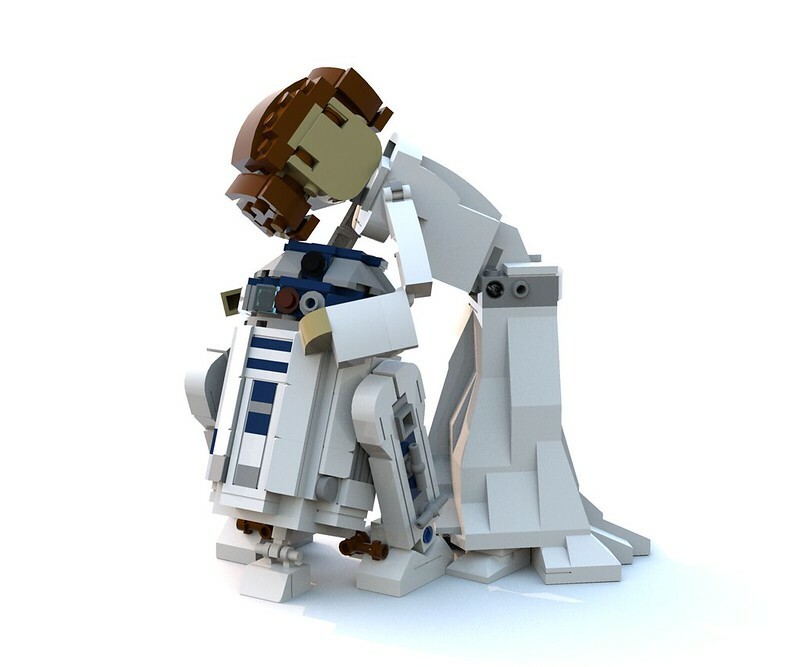 Note: The link to the R2-D2 instructions also contains bonus instructions for R5-D4 at the same scale.